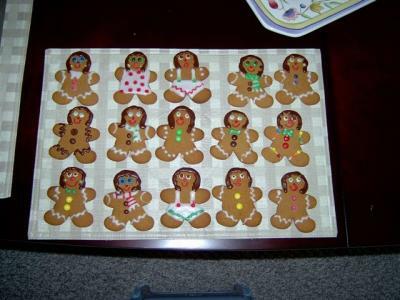 These gingerbread people have been a great little holiday creative project and so much fun to make. They are wonderful gifts for young and old. Since I am now happily retired from teaching elementary school, I thought I would name these as my new class.. each unique and special in his own way but definitely the quietest class I ever had. With the artistry you put into these I can only imagine you would have been a favorite teacher. Very nice. What a cute idea! Love the name!